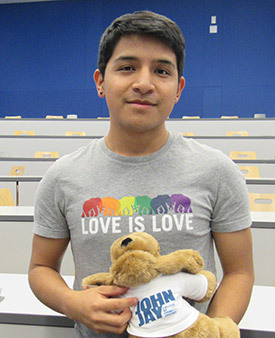 John Jay, a proud Hispanic Serving Institution (HSI), celebrated Latinx Heritage Month from September 17 through November 1. 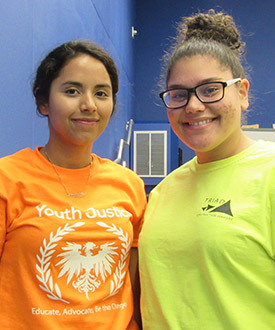 Recognizing the contributions that Latinx people have made to the United States, this extended celebration was loaded with events covering everything from serious topics on race, colonialism, and the current crisis in Puerto Rico, to lighter events like a musical performance by Folklore Urbano and a trip to Museo Del Barrio. 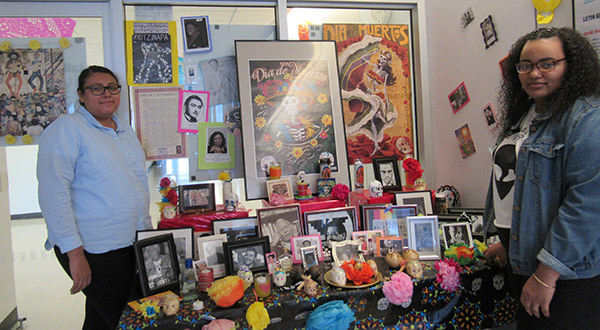 To round out the last days of our Latinx Heritage Month celebration, La Voz, the Department of Latin American and Latina/o Studies with the co-sponsorship of other clubs, held a Day of the Dead Celebration filled with food, music, and a presentation, along with a screening of the movie Coco. Here are some highlights of the events and thoughts from our students attending them. 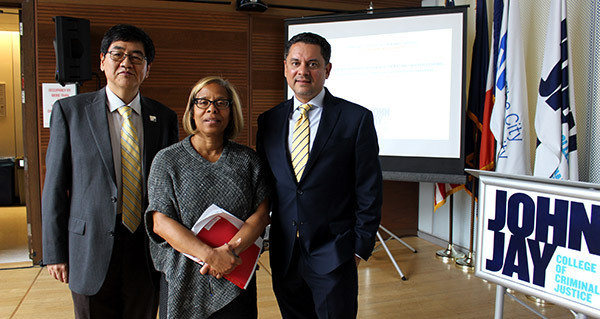 Professor José Luis Morín opened up his HSI Speaker Series presentation with a list of assertions about people of Latin American descent in the United States: • Most are foreign born. • Most are not U.S. citizens. • They don’t want to learn English. • They don’t want to assimilate. • They don’t pay taxes. • Immigrants from Latin America are more prone to criminal behavior than U.S.-born citizens. After he finished listing off the statements, Morín asked the audience, “Which statements are true and which statements are false? If you’re answering that some of these statements are true, that should be concerning,” said Morín, because all of them were false. He added that many of his students, when asked the same question anonymously, thought some of the statements were true. 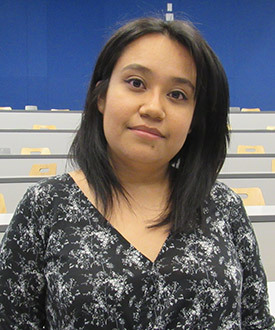 Morín connected the dots from these troubling misconceptions, to the history of Latin Americans in the U.S., to the needs and concerns our Latinx students are facing today. 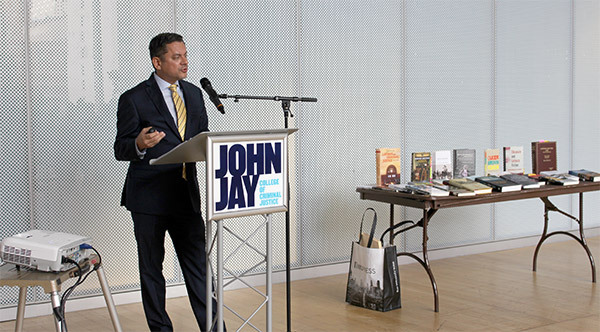 “The history books are so absent of the Latinx experience in the U.S.,” he said. “When I ask students if they see themselves reflected in books, almost no hands go up. If students think so little of who they are, how can they succeed?” He went on to explain how segregation and Jim Crow took over where slavery left off, for both African-Americans and Latinx people. “The word ‘greaser’ was the counterpart to the n-word,” said Morín, explaining the wide-reaching effects of racial profiling for both groups of people. His eye-opening presentation ended with a Q&A session on how to effectively support the 51% Hispanic/Latinx population currently attending John Jay. 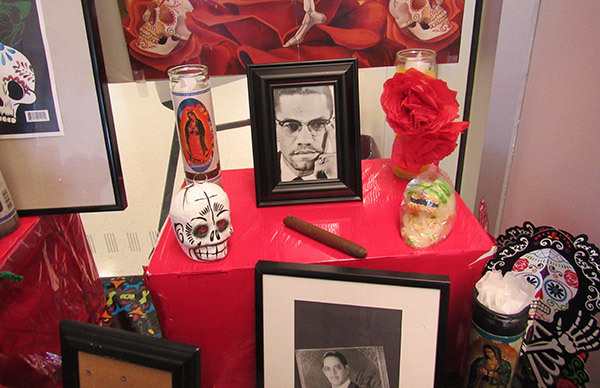 Celebrating the love and respect people have for their deceased family members is a time-honored tradition for the Latinx community. That’s why so many students were excited to celebrate with food, friends, and festivities on October 31 and November 1. 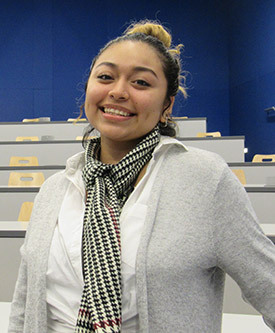 We chatted with some of these students to learn more about their feelings about the event, and joined them for a screening of Coco, an animated film depicting a young boy’s experience with his family and Día De Los Muertos. Why is Coco an important movie for the Latinx community? Why is this a good way to end Latinx Heritage Month?